Of all the blood pressure manufacturers in the world, Omron is the most popular with both the public and medical professionals. In fact, Omron, as anybody who has researched the brand in the past will know, is the number one doctor recommended brand of blood pressure monitor in the world. Without a doubt, Omron is the place to go if you’re looking for a blood pressure monitor which is both accurate and durable. But just which Omron blood pressure monitor is the right one for you? That’s going to be a little difficult to answer owing to the sheer volume of blood pressure monitors that Omron has produced over the years. The vast majority of people tend to go for the Omron Five or Ten Series, with some settling for the 3 Series. But one Omron blood pressure monitor which seems to be constantly overlooked is the HEM-432C. The ​Omron HEM 432C Blood Pressure Monitor is an inexpensive alternative to many of Omron’s more hi-tech blood pressure monitors, but that doesn’t make it inferior. Its lack of features means it is often ignored by those searching for an Omron blood pressure monitor, but we believe you should give it a fair hearing before making your final decision. Here is a brief though comprehensive - not to mention unbiased - ​Omron HEM 432C Blood Pressure Monitor review. ​*This post is updated as of April 2019. A common complaint about the Omron HEM-432C is that it is “basic”. 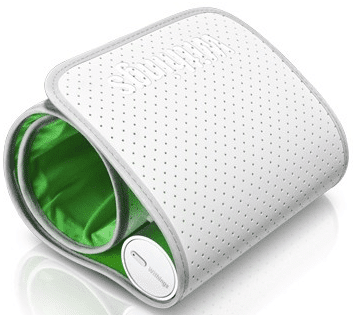 While it most certainly is a basic blood pressure monitor, we believe that is part of it’s charm. Those of you who are not technologically inclined won’t have to worry about navigating often complicated displays in order to get an accurate estimation of​ your blood pressure. That being said, users of the Omron HEM-432C will forfeit one or two pretty handy features that can be found on other blood pressure monitors, which accounts for the three and a half star rating. As you more than likely already know, today’s most popular blood pressure monitors can be pretty expensive. Due to a combination of name recognition and dedication to quality, Omron’s blood pressure monitors often go for close to $50. The HEM-432C, however, is significantly less expensive. For under $30, you get a blood pressure monitor which offers near unrivalled accuracy and will provide you with reliable readings of your blood pressure for years to come. Also, make sure you stay away from knock offs and only get the authentic ones using our provided links! As I mentioned earlier, the Omron HEM-432C is one of the most straightforward blood pressure monitors on the market. A lot of contemporary blood pressure monitors are so focused on cramming in as many features as possible that they become almost impossible to navigate. That is not a problem with the HEM-432C. With this best blood pressure monitor, all you have to do to get an accurate reading is wrap the cuff around your arm and squeeze the bulb. Within a couple of seconds, the results of your reading will be displayed on the easy to read LED screen. If you want to be absolutely certain that you are measuring your blood pressure correctly, a step-by-step guide to using a manual blood pressure monitor can be found below. While the Omron HEM-432C does offer some room for storage of your results, it is nothing compared to what many other Omron blood pressure monitors will give you. There are some blood pressure monitors produced by Omron and other brands with memories of 50, 60, and even 100 readings. This blood pressure monitor offers only a memory of 30 readings, which is a major drawback if you have been advised to monitor your blood pressure levels for an extended period of time. 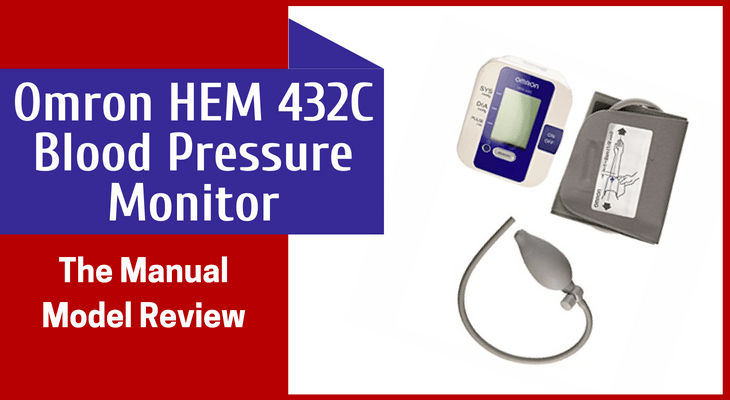 There are a couple of feature available on more expensive blood pressure monitors which are not available on the HEM-432C, but I chose to focus on this one as I believe it is the most noteworthy absence. Close to every blood pressure monitor available in 2018 has the ability to detect an irregular heartbeat should one be present. The HEM-432C does not have this ability, which is a major disadvantage, especially when you consider the fact that over four million Americans suffer from arrhythmia. While it is easy to get bogged down by the cons listed in the previous section, the HEM-432C actually has a lot going for it. Here are a few more benefits of owning this particular blood pressure monitor. One of the great things about purchasing your blood pressure monitor from a world renowned brand such as Omron is that you are guaranteed to a product of extremely high-quality. Should you experience any kind of premature problem with your blood pressure monitor, you won’t have to drop an insane amount of money to remedy it as Omron offers a one year warranty with every purchase of its HEM-432C. Omron has a reputation as a blood pressure monitor great to uphold and so does not put its name on a product unless it is absolutely satisfied with its superiority. The HEM-432C has been put through rigorous testing in order to ensure it not only meets but exceeds the standards set by various independent organizations. Hurry! Get the HEM-432C on a GREAT deal running only until the end of April 2019. As you can see, the Omron HEM-432C has an abundance of perks, but also a few notable disadvantages. If you are looking for a blood pressure monitor to help you track your blood pressure for only a few days or weeks, this top BPMG pick- the HEM-432C will give you everything you need. However, if a medical professional has recommended you find a blood pressure monitor to read your blood pressure every day or close to it, you might be better off going with a blood pressure monitor which has the ability to detect an irregular heartbeat and alert you to hypertension. Still not convinced? 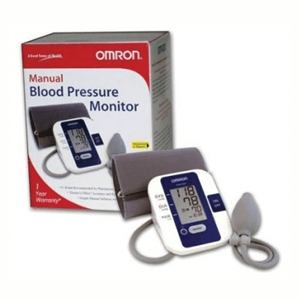 Read our review on the Omron 3 Series blood pressure monitor. 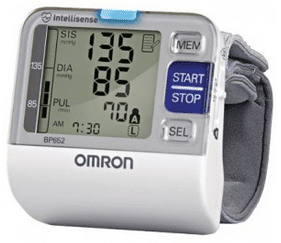 Omron 5 Series Blood Pressure Monitor – Does It Live Up To Expectations? Omron 3 Series Blood Pressure Monitor – The Ideal Model For You!